We were so excited to see this recent article, A Practical Approach to Classifying and Managing Feeding Difficulties (Kerzner et al. 2015) from the Journal of Pediatrics. It does a great job of providing an overview of feeding challenges: underlying factors, screening, red-flags, and a user-friendly format for primary care providers who are the front lines on this issue— most of whom receive little to no training in feeding challenges. This paper provides an excellent overview. 1) Take every worry and complaint about picky eating seriously before jumping to reassurance. Parents may do well with reassurance and a handout, or they may need a referral to specialist care. 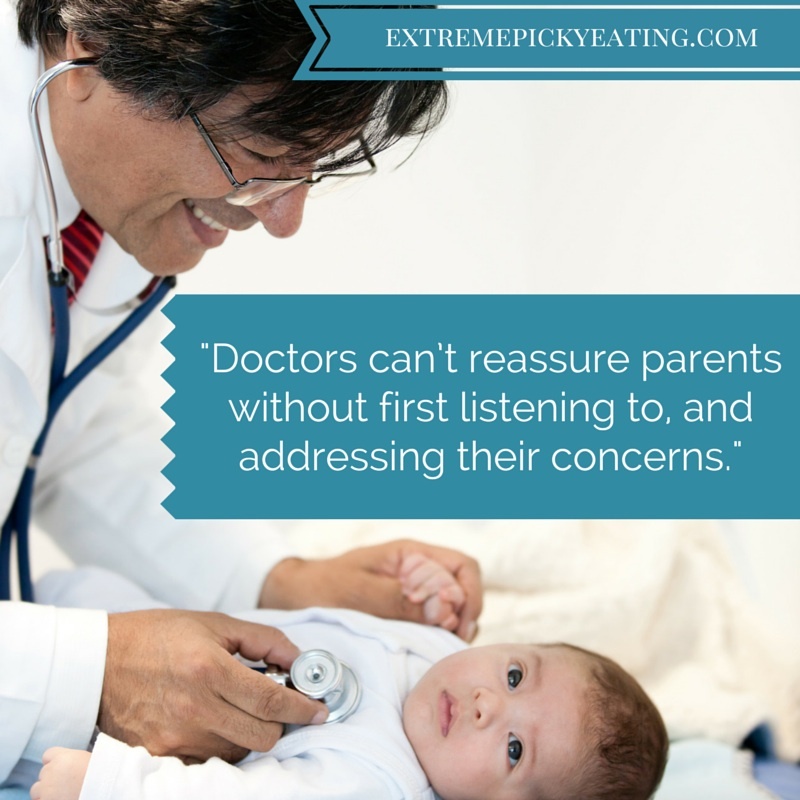 You can’t reassure parents without listening to and addressing their concerns. 2) History, physical exam, potential lab tests, and red flags are discussed and help determine severity and what general category challenges fall under: misperceptions of typical variants, low appetite, medical/organic, selective, sensory, fear of feeding, and feeding style. This helps guide referral and treatment. Some sample red flags: using distraction to increase amount eaten, prolonged time at the table, gagging or coughing/choking, significant conflict, history of choking, or forceful feeding. 3) Assess parents’ feeding style by asking parents how feeding is going, what they worry about, what they do if they think a child needs to eat more or different foods. The article suggests specific questions. These feeding styles are briefly described and include permissive, controlling, neglectful and responsive (the ideal). Feeding styles matter, as coercive or neglectful and permissive patterns often worsen feeding challenges. 5) Refer families to the right help: sensory-oral therapies, GI doctors etc. are introduced. 6) As the article shares, children can often have more than one challenge: medical, fear, sensory, anxiety, etc. 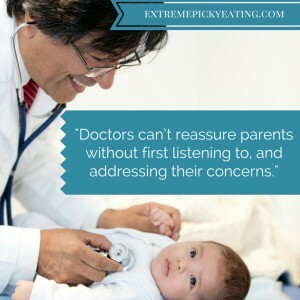 These are challenging issues, and this is a great start for physicians to become the partners that parents deserve for this all-too-common problem! Share this link with your child’s doctor if you are struggling or looking for more support. *Chapter two in our book Helping Your Child with Extreme Picky Eating reviews aspects of typical eating and appetite to address these misperceptions.